Microsoft had bundled its next generation antivirus software in the Windows 10 Fall Creators’ update, bringing more enhancement to the Windows Defender Advanced Threat Protection by moving it up from isolated defenses to a smart, interconnected, and coordinated defense grid that is intelligent, simple to manage, and ever evolving. 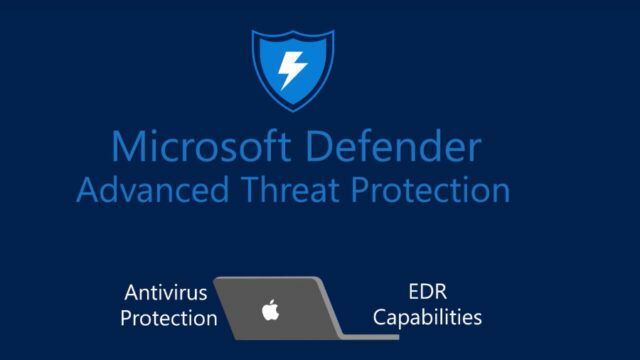 Now, Microsoft has extended the Windows Defender anti-malware system to Apple macOS, which expansion reflects its growing cross-platform nature; while the application suite has been renamed as Microsoft Defender ATP, with the designated labels "Defender for Mac" or "Defender for Windows" for individual clients. The Defender for Mac will focus more on signature-based malware detection as a start, albeit the Defender ATP for Windows track various system behaviors and report to the ATP cloud service, which helps to detect threats even without any piece of malware detected. While the macOS malware issue has become commonplace, with ransomware running rampage on the platform in 2016, and other malicious attacks for which Apple was forced to integrated some malware protection into macOS, but that has not guaranteed maximum protection for Mac users. And this unfortunate situation has seriously impacted the corporate usage of the product; while Microsoft Windows has a good range of security tools that ensure the systems are secure and kept up-to-date, even alert administrators if there is any cause for alarm, but no such security system for the Apple ecosystem. The new software suite is currently available as a preview for limited Mac devices running macOS High Sierra and above, with users needing to apply to the program to use it, whereby Microsoft will contact those users via email once their applications are approved. Microsoft also promised to bring the unified security solutions to other “platforms” which perhaps, may suggest that the Defender Advanced Threat Protection (ATP) will soon be available for Linux devices as well.